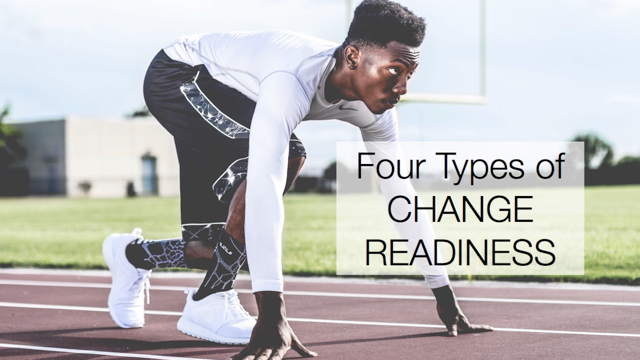 One of the assumptions I typically hold true on this blog is that the change you are trying to implement is in fact something you should be doing — one that brings about improvement, helps people work better, and makes the organization more successful. Occasionally it helps to be reminded that not all change is good. I recently watched the movie Up In The Air, whose context is an organizational change project that alters the way the company does business and in the process will completely change the lifestyle of George Clooney’s character. It turns out that despite significant efficiency improvement and cost savings, the project is just a bad idea. How do you know when the change is a bad idea? Someone in your organization has probably already figured it out. Listen closely to objections. There is always a valid reason for resistance. Many times concerns are personal and natural, and can be addressed without impact to the initiative. Other times, people follow a logical path to the conclusion that the change is not going to work, or will have negative side effects. Don’t brush off objections as resistance that you can ignore and keep pushing forward! Instead, seek to understand the objections, and ask yourself: What is the likelihood that the change will follow this path? What happens if it does? If there is a chance that the initiative is the wrong move, you can start small to test it out or otherwise mitigate risk before going full-bore. Plus, your initiative will be more robust, and you will have more buy-in from people whom you respect enough to understand and address their resistance. When the project is already in process, there is a fine line between the symptoms of a bad idea and poor implementation. If you are seeing unintended and unexpected consequences occurring during the implementation, determine whether the consequences are an artifact of the change process (e.g. poor communication or lack of leadership support) or of the change itself (e.g. the new process didn’t save as much as you expected, or customers didn’t like the change as much as you thought they would). If there is a problem with the change process, then you can work to get it back on track. If the problem is the change itself, no amount of change management is going to solve the problem. What might be true when resistors tell you the initiative will not work? Saw the movie and thought ‘been there before’. A lot of organisations see the world through process driven eyes. In fact some thinking tends towards a view that ‘all needs are met by the process’. That thinking misses the empathetic dimension or what axiology call’s Intrinsic thought. The ability to value uniqueness and in particular the uniqueness of people and how they think/feel. A process that doesn’t account for people can only be run by robots, but we are a long way from that I think.